Future Tuareg music from the female led avant-rock group Les Filles de Illighadad. Mixing traditional percussion with electric guitars, Les Filles brings ancient village folk music into the modern era. Drawing on traditional tende music, the forgotten inspi- ration of Tuareg guitar, Fatou and Les Filles breath new life into the genre. Hypnotic guitar riffs, driving rhythm, and polyphonic resonant vocals combine to create organic sound, that is both timeless and natural. A wholly original project, from a band that just last year had never left their village. Their first studio production. 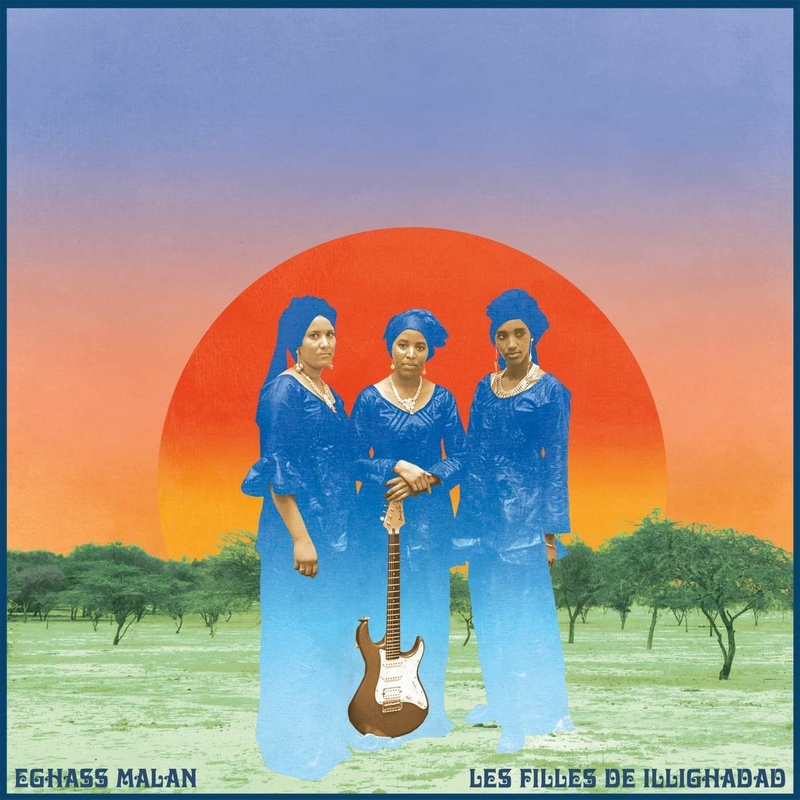 Les Filles de Illighadad present their first ever studio album “Eghass Malan.” The female led avant rock group hailing from the village of the same name bring their new genre of Tuareg guitar mixed with traditional rural folk. Versed in tradition, Fatou Seidi Ghali and her band have created contemporary studio versions that are unlike anything ever before recorded, transporting rural nomadic song into the 21st century. 1970s young Tuareg men living in exile in Libya and Algeria discovered the guitar. Lacking any female vocalists to perform tende, they began to play the guitar to mimic this sound, replacing water drums with plastic jerrycans and substituting a guitar drone for the vocal call and response. The exiled eventually traveled home and brought the guitar music with them. In time, this new guitar sound came to eclipse the tende, especially in the urban centers. If tende is a music that has always been sung by woman, the Tuareg guitar was its gendered counterpart, and Tuareg guitar music is a male dominated scene. Recorded on their debut tour in Europe after just a handful of concerts, “Eghass Malan” maintains a feeling that is spontaneous and inspired. With a minimal effects in an artist led production, Les Filles stay true to their form and origin. Hypnotic guitar riffs, driving rhythm, and polyphonic resonant vocals combine to create an organic sound that is timeless and ancient, bridging ancient tradition and modern worlds. With songs of love, celebrating the village, and praise for the desert and its people, Les Filles create a repertoire of ancient songs, village tende favorites, and new classics. 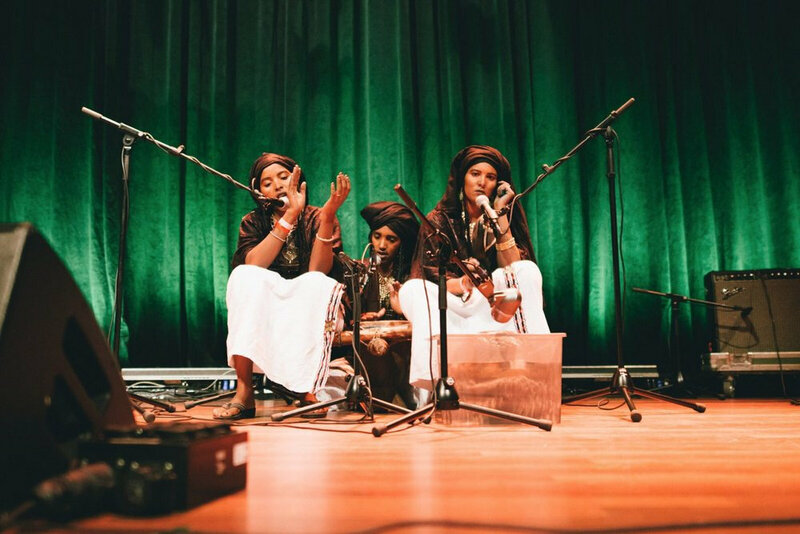 Les Filles de Illighadad breath new life into the genre, and “Eghass Malan” promises to shake up Tuareg guitar both at home and abroad.